Destiny 2 has seen some steep discounts in the past few weeks, including a flash sale bringing the price down to a record low of $10. This special is a couple of bucks more, but it does bring a selection of other titles and a convenient digital key for the game – Destiny 2 is the featured early unlock for this month’s Humble Monthly Bundle. As the month’s early unlock, at $12 purchase will get you access to Destiny 2 right now, with a selection of other mystery games – promised to be valued at least over $100 – will unlock when the monthly subscription rolls over on June 1. Buying in anytime before then will get you a Battle.net code to unlock Destiny 2. 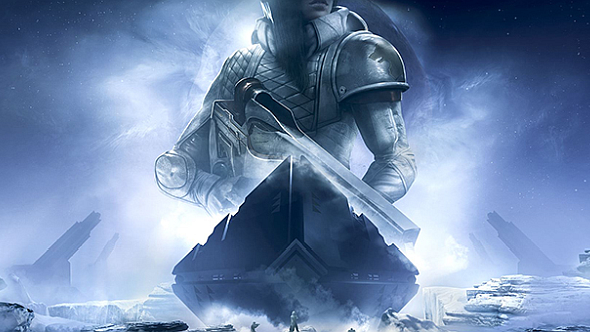 AAA games have been part of the selection before, but Destiny 2 is certainly one of the biggest and most recent games, and the first title on the service to come from Activision Blizzard. The deal might sting a bit for the game’s early adopters, though it’s certainly a welcome one if you’ve been holding out on playing the game. You might also wonder what the free-falling prices mean for Destiny 2 in the long run. Activision say the game was their biggest PC launch yet and Bungie are talking up loads of support for it this year, so clearly there’s confidence there, even with prices dropping as quickly as they have. With new players coming in on these cheap prices and Warmind on the immediate horizon, we’ll see how the game’s further fortunes fare.